Whether music is played from local storage or enjoyed through one of the various streaming services, there's an extreme likelihood that a smartphone or tablet is involved, but that'd doesn't mean you can't play mobile audio on your system. 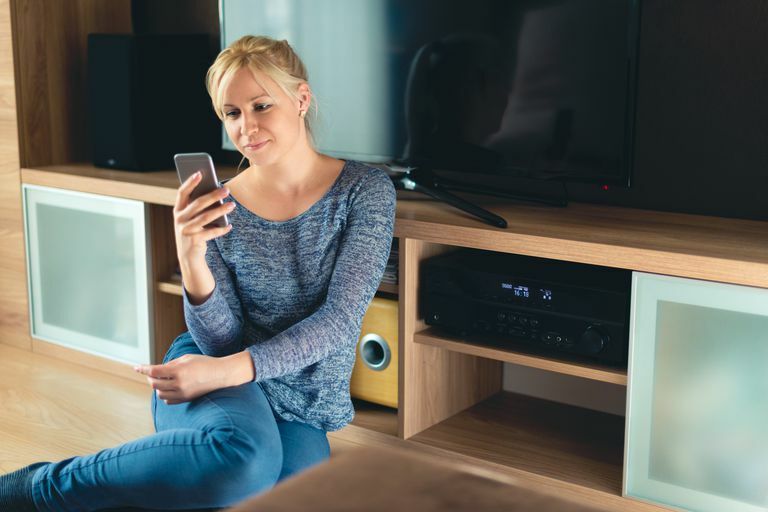 There are convenient, inexpensive ways to enjoy music from smartphones, tablets, and digital media players (and more) on nearly any system, traditional or not. Check out the following methods to play mobile audio on stereo systems. Wireless is where it's at, and Bluetooth connectivity continues to mature and saturate all sorts of tech products. You'd actually have a hard time finding a smartphone or tablet without Bluetooth as a standard. Some people even turn their old smartphones into portable media players using Bluetooth. As such, Bluetooth adapters (also called receivers) are widely available and easily affordable. Most Bluetooth adapters connect to stereo systems, amplifiers, or receivers through a 3.5 mm, RCA, or digital optical cable, which may or may not be sold separately. These devices also require power, typically via an included USB and/or a wall plug, and some even feature built-in batteries that can last for hours. Once hooked up, simply pair with a smartphone or tablet and you're all set to enjoy audio control straight from your pocket. Keep in mind that standard Bluetooth wireless has a maximum range of 33 ft (10 m), which can be affected by walls, a line of sight, and/or objects. Some adapters, such as the Amped Wireless BTSA1, boast an extended reach up to twice the normal distance. Bluetooth also introduces some additional data compression, so it's possible (depending on the audio source) to lose a bit of quality unless the products are aptX-compatible. Either way, most are content with the results, especially for background music and/or internet radio. Bluetooth adapters come in a variety of shapes, sizes, and features, so be sure to browse around and find what matches best for your needs. See The Top Reasons Your Bluetooth Won't Connect if you're having troubles. For the discerning audiophile or enthusiast, Bluetooth might not cut it in terms of overall fidelity. Thankfully, there are adapters that use Wi-Fi, which transmits audio to stereo systems without compression or loss of quality. Not only that, but wireless networks typically enjoy a greater range than what Bluetooth can achieve. As with the Bluetooth adapters described above, the Wi-Fi kind also connects through a 3.5 mm, RCA, or digital optical cable. However, unlike Bluetooth, you'll have to pay closer attention to compatibility. For example, AirPlay works only with Apple products (e.g., iPhone, iPad, iPod) or computers using iTunes, which means that Android devices are left out. Some adapters, however, might also feature support for DLNA, Play-Fi (the standard from DTS), or general Wi-Fi connectivity through a company's proprietary app. Again, double-check compatibility. Not all music-related mobile apps are designed to recognize and stream through each type. If wireless seems a little too fancy or involved, there's nothing wrong with sticking to the tried-and-true 3.5 mm to RCA stereo audio cable. The 3.5 mm end plugs directly into the headphone jack of the smartphone or tablet, while the RCA connections plug into the line inputs on a stereo speaker, receiver, or amplifier. Be sure the plugs match the same color (white is left and red is right for RCA jacks) of the input ports. If the jacks are stacked vertically, the white or left one will almost always be on top. That's all that needs to be done! The upside to using a cable is that, in most cases, you'll ensure the best possible sound quality. There's little need to worry about compatibility, lossless transmission, and/or wireless interference. It's also one less device that would take up space on a wall outlet or power strip. However, a connected device's range will be physically limited by the length of the cable, which may or may not be terribly convenient. Most all 3.5 mm to RCA stereo audio cables are comparable with each other, so overall length is likely to be the top consideration. An alternative to the 3.5 mm to RCA stereo audio cable is your basic audio cable. Not everything will feature RCA input jacks, but you can pretty much count on the standard 3.5 mm port (also identified as the headphone jack for mobile devices). Maybe you have one of these cables lying around in a drawer or box somewhere, too. 3.5 mm stereo audio cables sport the same connection on each end (totally reversible) and are practically universal when it comes to audio equipment. If there's a speaker involved (e.g., TV, computer, stereo, soundbar), you can pretty much guarantee plug-and-play compatibility. It doesn't have to be expensive, either; great soundbars can be found for under $500. Just as with the 3.5 mm to RCA cable, this connection will enjoy the same benefits of sound quality and physical limitations of range. Most all 3.5 mm to 3.5 mm stereo audio cables are comparable to each other, so overall length is likely to be the top consideration. While speaker docks seem to be a little less common these days, there are plenty of universal docks that serve to charge mobile devices while maintaining an active connection to an audio system. Why fish around for a power and/or previously-mentioned audio cable for smartphones/tablets when a dock offers elegant simplicity? Besides, it's easier to glance at a screen that's propped up in order to see what song is currently playing or up next. Tidy, organized cables are always a plus, too. Some companies, such as Apple, make docks only for their own products. If you spend a little time to hunt and shop around, you might find a number of compatible docks made by third-party manufacturers — be sure to stick with MFi for your Apple devices. Some docks might be created for a specific model/series (e.g., only Samsung Galaxy Note smartphones) or a specific connection type (like Lightning or 30-pin for iOS, micro-USB for Android). However, it's more common to find docks with a universal mount, allowing you to plug your own product cables to connect to audio inputs for stereo systems (instead of through the dock itself).